Imagine a primeval world, a swamp, but not like any swamp you see today. A canopy of fern-like leaves towers fifty to a hundred feet above you, blotting out the sun like a blackish-green, moth eaten blanket. Remarkably thin, spindly trunks support the structure precariously. These trunks have a scaley texture, like the skin of a snake. The soggy ground is littered with trees that have toppled over. There are so many that you can hardly walk, it’s like a labyrinth of fallen logs interspersed with black, stagnant pools of water. The air beneath the blanket canopy is stagnant and heavy with moisture. You sweat profusely as you attempt to scramble over the fallen trunks and uneven terrain. Ferns and shrubs rise through gaps in the piles of logs and conceal holes. Be careful not to fall through the layer of fallen debris, this world is ruled by giant bugs. Beneath the junkyard of vegetation creep everything from six foot centipedes to two foot long scorpions. Slip and fall into one of the inky-black pools and you might find yourself face to face with Megarachne***, a spider like creature the size of a small dog. Dragonflies with three foot wingspans buzz overhead. Be careful, they’re predatory. Ancient in situ lycopsid, probably Sigillaria, with attached stigmarian roots. 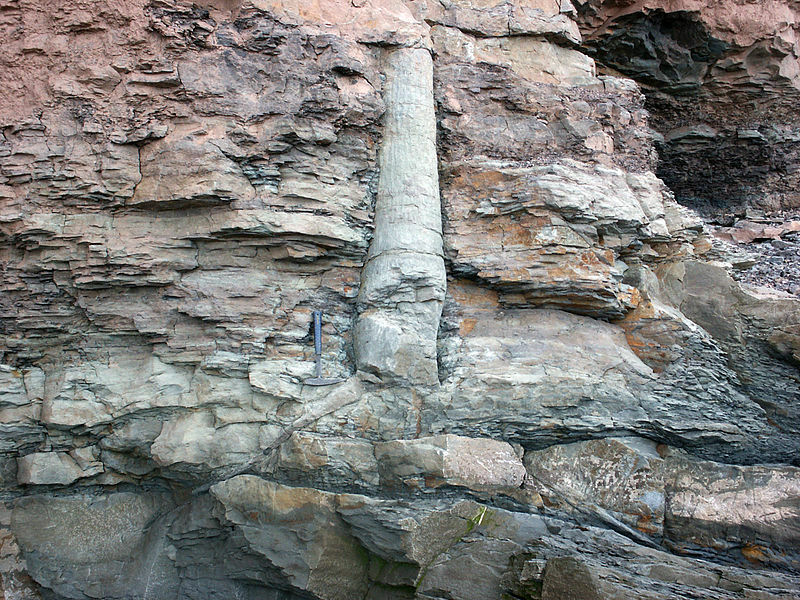 Specimen is from the Joggins Formation (Pennsylvanian), Cumberland Basin, Nova Scotia. Author: Michael C. Rygel. Source: Wikimedia Commons. This is the eastern United States during the late Upper Carboniferous period, 323-298 million years ago. This is where coal comes from. These days we may mine coal from underground, but it originated up top, in the trees and ferns and other plant material. Ninety percent of the coal we use to power our world was formed from organic material preserved in coal swamps in the carboniferous period. Why is this so? And also Why were bugs so big back then? The answer to the latter question is that increased levels of oxygen allowed the bugs to get bigger. Insects do not breath like us, they respire through tubes in their body called tracheae. They don’t have lungs that take in large amounts of air and because of this their body size is restricted. Other types of arthropods, like those giant centipedes, have respiratory systems with similar restraints. If they get too big, they cannot supply enough oxygen to their body. 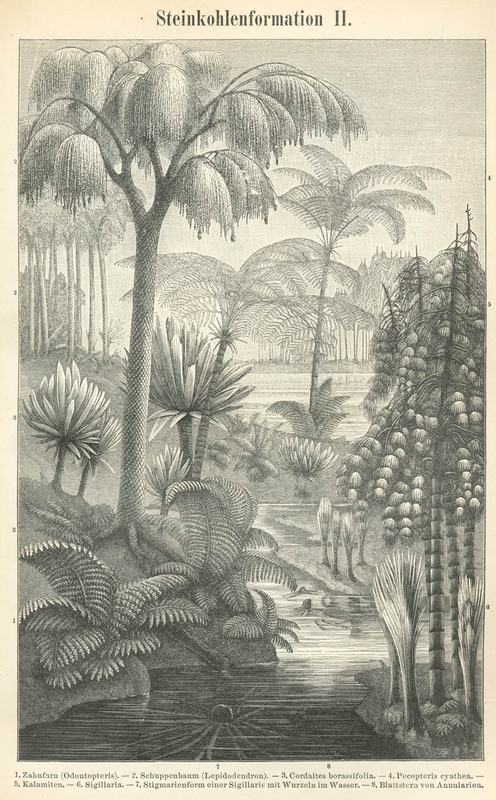 But because there were higher levels of oxygen in the atmosphere back in the Carboniferous, bugs could get pretty big. The reason there was such a high oxygen content in the atmosphere is because there was a lot of oxygen being pumped out by the plant life in these swamps, but not a lot of carbon dioxide being released. Carbon dioxide is released when organic material decomposes, dead organic material like all those fallen tree trunks you’re stumbling over. So if there’s so much dead stuff, why isn’t their any carbon dioxide being released? 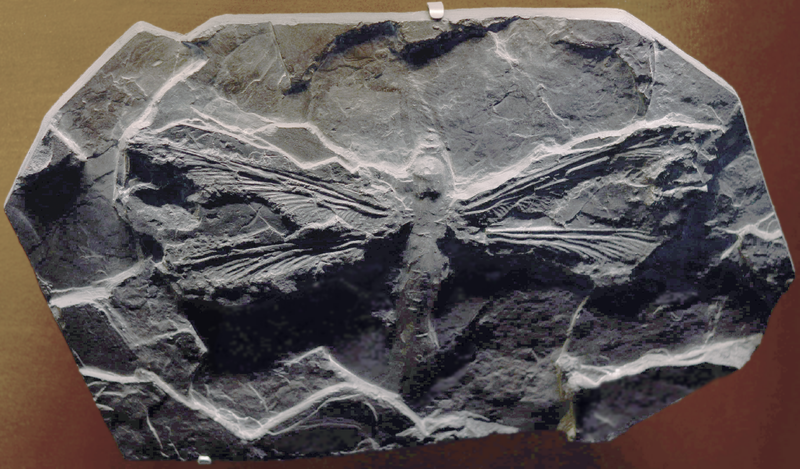 Meganeura monyi, Fossil from Museum d’Histoire Naturelle di Tolosa. Author: Alexandre Albore. Source: Wikimedia Commons. One reason is that bacteria have not yet evolved to break down cellulose and lignin, polymers in the cell walls of plants that make them sturdy and give them a woody texture. Another reason is that anoxic conditions are prevalent in stagnant areas of swamps, so without oxygen the plant material falling into the swamps would have been preserved. To top it all off, the carboniferous period was an ice age. That is, a period during which there was glacial activity. Ice ages are periods of cyclical change. During cooler spells the glaciers will become bigger and trap huge amounts of water in them, causing ocean levels to drop, but during warmer spells the glaciers will melt and sea levels will rise. So all the plant material from these coal swamps is dying, sinking into the muddy bottom of the swamp, getting preserved and then getting buried beneath ocean sediments. All these tons and tons of vegetable material never get a chance to decompose and the carbon becomes trapped. In time that material, under tremendous heat and pressure, forms coal. Ironically, this cold period was probably set off by the lack of carbon dioxide in the atmosphere, lowering the greenhouse effect. 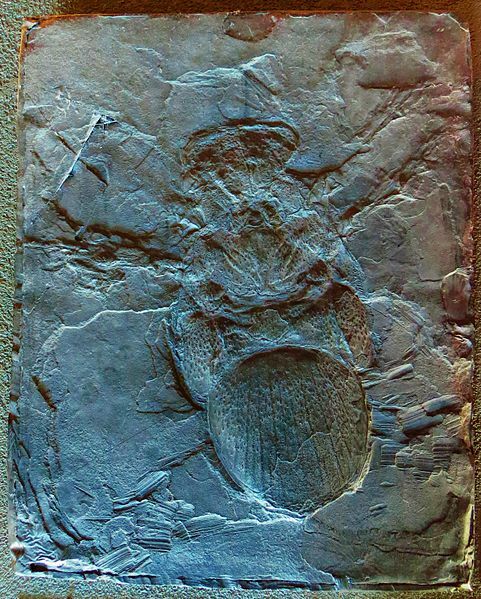 Fossil of Megarachne, an extinct arthropod- Took the picture at Naturalis, Leiden. Author: Ghedoghedo. Source: Wikimedia Commons. So that’s how all that coal formed. A curious combination of geologic and ecological events conspired to lock carbon deep inside the earth. Today we are freeing it, burning the carboniferous coal and releasing carbon dioxide into the atmosphere. Interestingly we now have the opposite problem that life in the carboniferous faced. Because we are releasing so much CO2 into the atmosphere, we are actually increasing the greenhouse effect and warming the earth. It’s kind of interesting to think that we have no more control over our world than the trees did 350 million years ago. The trees sucked up carbon dioxide and witheld oxygen until the world entered a new glacial period. Now humans release carbon dioxide and lower the amount of oxygen. It’s further proof that there’s nothing new under the sun and as creative as us humans are, we have yet to truly free ourselves from the long evolutionary cycle that has been going on for a billion years. There is one positive side to our dilemma: at least we don’t have to worry about giant bugs. ***Although it is commonly believed that the Carboniferous was ruled by giant spiders, the only animals even remotely resembling such a creature are Eurypterids like Megarachne, which, as far as anyone can tell, were aquatic. Some may have been able to come onto land and terrorize their terrestrial neighbors for a limited time, but this behavior has not been confirmed.